Go see the lovely decorations at the Governor’s Mansion! This past Sunday the Fischer family was invited to a sneak peek at holiday decorations at the Governor’s Mansion. 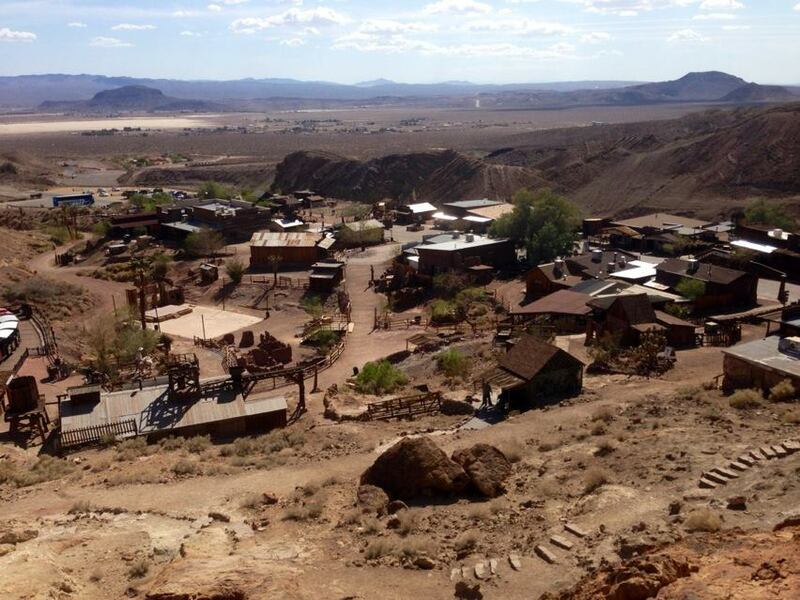 You can see all the splendor, too. Non-perishable food items and warm winter items, including new or gently used mittens, hats, scarves, coats, sweaters, jackets, and snow pants, are happily accepted at the residence during public tours and will be donated to those in need. Saturday, December 2, 10:00 a.m. – 2:00 p.m.
Wednesday, December 6, 12:00 p.m. – 2:00 p.m.
Thursday, December 7, 12:00 p.m. – 2:00 p.m.
Saturday, December 9, 10:00 a.m. – 12:00 p.m.
Wednesday, December 13, 12:00 p.m. – 2:00 p.m.
Thursday, December 14, 12:00 p.m. – 2:00 p.m. The Wisconsin Executive Residence is located at 99 Cambridge Road on Madison’s northeast side in the village of Maple Bluff. Driving directions can be found here. Tours are free and cameras are allowed. Before we get to today’s read, an appropriate intro. The Milwaukee Business Journal posted a piece that includes an opportunity to link to the DPI’s ranking of the best high schools in Wisconsin. Kohler High School was ranked #1 with an accountability score of 97.7. Franklin came in at #54 with a score of 77.4. At Franklin High 56% of students are proficient in English Language Arts & Literacy, one of the factors taken into account by the DPI. When it comes to Math, 45% of Franklin students are proficient. And yet the DPI says Franklin High exceeded expectations. Of course they did. I’ll leave it to the Franklin taxpayers who’ve had to cough up tons of dollars in school referenda to determine if their contributions have been worth it. School districts are critical for the role they play in building the strength and character of future generations. 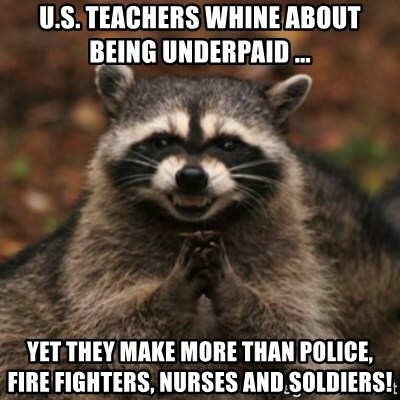 Unfortunately they also rank near the top of professions that whine and moan and complain the loudest about the difficulty of their job. They have created their own PR nightmare. I have to teach how many kids? On and on and on it goes. I wish for their own good they’d stop doing that. Will Oak Creek ever stop growing? The Milwaukee Business Journal has some aerial photos of the Ikea site. At Sunday breakfast this past week our server emphatically told Kyla to stop growing. It would be so wonderful. I know we have her like this for such a short time. So thank you, dear God. Thank you. We’ve learned so much about what women face in the last few weeks, and you liberal men should take this as an opportunity to change – specifically, out of your flapping bathrobes and into some Dockers. Groping, flashing, molesting shrubs – believe it or not, some women consider these things to be wrong. Crazy? Sure, but for now it’s no more monkey business as usual. 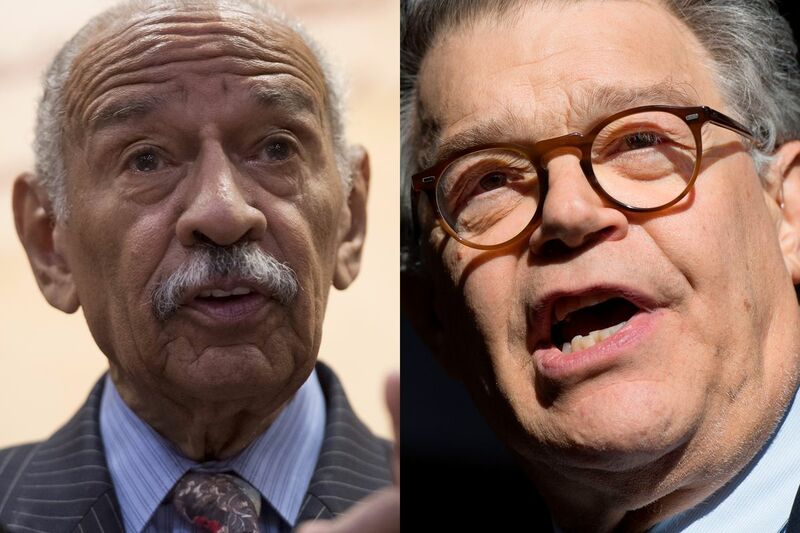 As a noted Democrat, you need to maintain your political viability, and you can exploit the respect and concern for women you’ve always pretended to have to help you dodge responsibility for whatever you’ve already done! ….there are a lot of uptight people out there whose bourgeois notions of “right” and “wrong” really don’t account for the unique pressures and special requirements you face as a liberal icon lookin’ for some lovin’. To read the tips and the entire satirical piece, just click here. When I worked at WUWM and WTMJ I was a member of the Milwaukee Press Club for many years. I was on the board and even served as President for two terms. I let my membership lapse after I left WTMJ and began working for the state Senate. 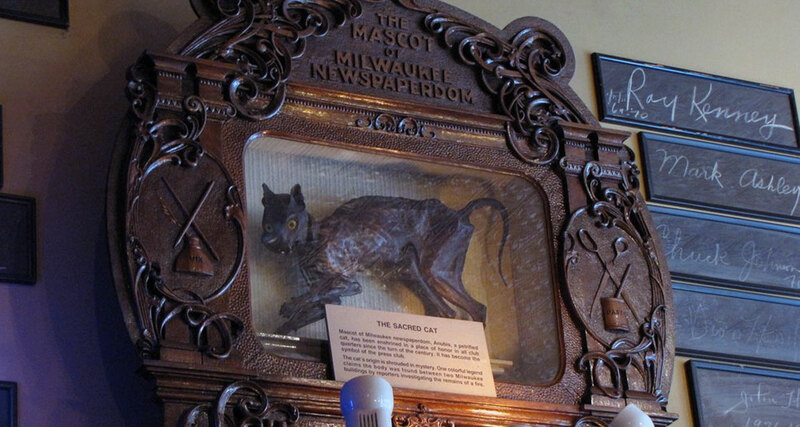 The Sacred Cat Award is named after the club mascot Anubis, the mummified cat, and recognizes excellence in journalism at the national level. It is presented each spring at the Gridiron banquet, which also honors winners of the club’s Excellence in Wisconsin Journalism competition and a Headliner award winner. The Sacred Cat award has been given annually since 1973, with broadcast journalist Peter Arnett receiving the inaugural award and some of the country’s greatest journalists and media leaders receiving it since then. The Press Club’s board of governors and the Gridiron Committee collaborate in the selection of a Sacred Cat. I recall being scoffed at by my colleagues when I suggested Rush Limbaugh receive the award. Shortly after I left the club and had no say in the matter the award was given to Matt Lauer in 1998. At the time I thought it was a terrible choice because Lauer was still too new, had not established himself or a great body of substantive work, and quite frankly was just another in a long line of TV hosts. Since I certainly didn’t equate him with the likes of a previous winner like Walter Cronkite I would have noted no if I could have. I wasn’t impressed then and haven’t been since. I’m curious to see what, if anything, the club will now do or even say about Lauer’s firing for sexual misconduct. Please click here to view the 2017 End of the Year edition of “Privileged to Serve”, the monthly e-newsletter issued by my office. Due to election campaign laws, this will be the last e-mail sent from my office with my monthly newsletter until April of 2018 after the Milwaukee County elections. However, you can still access my office’s future newsletters by visiting my county website here. I encourage you to forward this newsletter to anyone who may find it informative. Please do not hesitate to reach out to my office if I can be of assistance concerning any matter involving Milwaukee County. Happy holidays and thank you for a great 2017. Earlier this month the Janesville Gazette editorialized about a bill passed by the state Legislature allowing kids as young as 6-years old to hunt in Wisconsin. “ …how does giving guns to small children benefit most hunters? Hunters, after all, stand to lose if a 4-year-old fires a weapon in the wrong direction,” the paper wrote, calling the bill dumb and idiotic. The Racine Journal Times also blasted the idea. “Parental control” may be a catchy buzzword, but we would no more like to see it applied to hunting than we would to parents who would decide that their 10-year-olds are fully capable of driving a car on our roads and highways. We don’t see anyone advancing that argument. Wisconsin’s nine-day gun deer season continued to show hunting as a safe recreational activity, as the season ended with seven hunting incidents and no hunting-related fatalities. None of these incidents involved mentored youth hunters. Do you suspect that some editors, reporters, and lawmakers were secretly anticipating and waiting, possibly hoping, for “incidents” involving mentored youth hunters that they could subsequently use to write negative articles and news releases about the new law? I dont cook much these days, but managed this Chocolate Pecan Pie for Thanksgiving at the family farm! 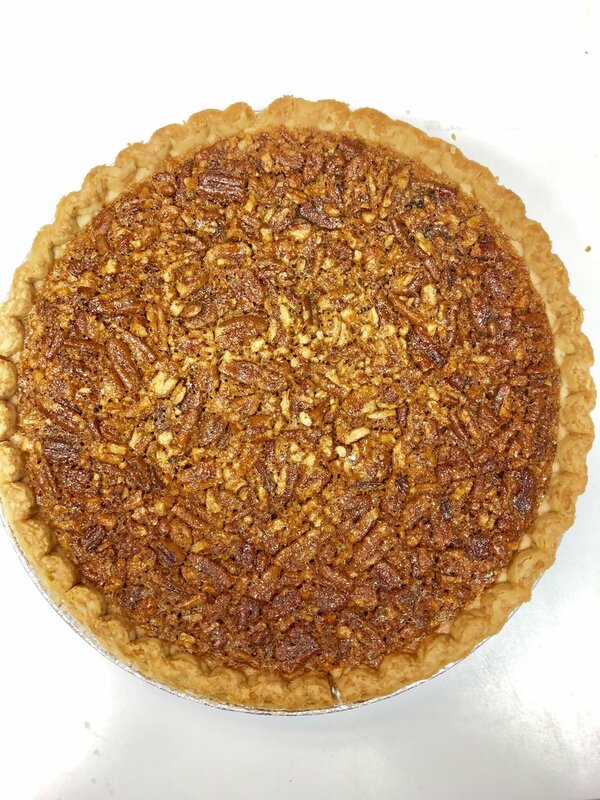 Sarah Huckabee Sanders lied about baking a chocolate pecan pie for Thanksgiving. The White House press secretary further ruined the national holiday by humiliating the press corps by asking them why they are grateful. While none of this is true, attacking Sanders personally has become the media’s latest and lowest method of attacking President Trump.The media hostility toward Sanders really has nothing to do with her but stems from its barely concealed hatred for Trump. I’m rather sympathetic and quite supportive when it comes to the United States Postal Service (USPS) because my late father was a postal employee. But even he grumbled about his employer, so I guess I can, too. The U.S. Postal Service will deliver more than 15 billion pieces of mail this holiday season. In the period between Thanksgiving and New Year’s Day, the Postal Service also expects to deliver 850 million packages, which is more than a 10 percent increase compared to the same period last year. You’ll also be seeing delivery trucks on the roads on Sundays for the next several weeks. Oh, they deliver. But I wish they would so before I finish dinner. Last Saturday my mail was dropped off after 6:30. Monday night, it was 7:20. I’m guessing, according to that same USPS news release that it could get even later. With an increase in early and online shopping for gifts, there is no longer a “busiest day” for holiday shipping. Instead, the Postal Service’s busiest time is now two weeks before Christmas. Starting the week of Dec. 11, customer traffic is expected to increase, with the week of Dec. 18 – 24 predicted to be the busiest mailing, shipping, and delivery week. During this week, nearly 3 billion pieces of First Class Mail, including greeting cards, will be processed and delivered. The Postal Service also expects to deliver nearly 200 million packages per week during these two weeks.